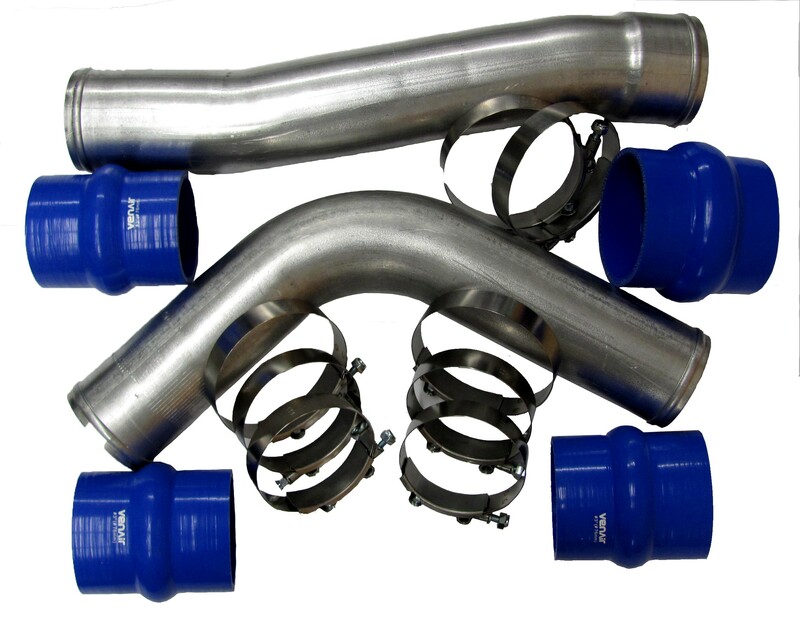 When placing a 1994-1998 Cummins 12 Valve engine into your 2003 - 2007 Ford Super Duty, that had a 6.0L engine, this intercooler tube kit provides everything you'll need to plumb the air to air system. Please make certain you are using a 2003 / 2004 Commonrail engine's OEM turbo charger. This kit is designed for those using DCS engine mounts and exhaust manifold. 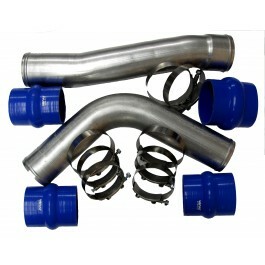 This intercooler tube kit only works when using the mechanical cooling fan! If you intend on using electric fans do not purchase this item or plan on modifying the pipes.